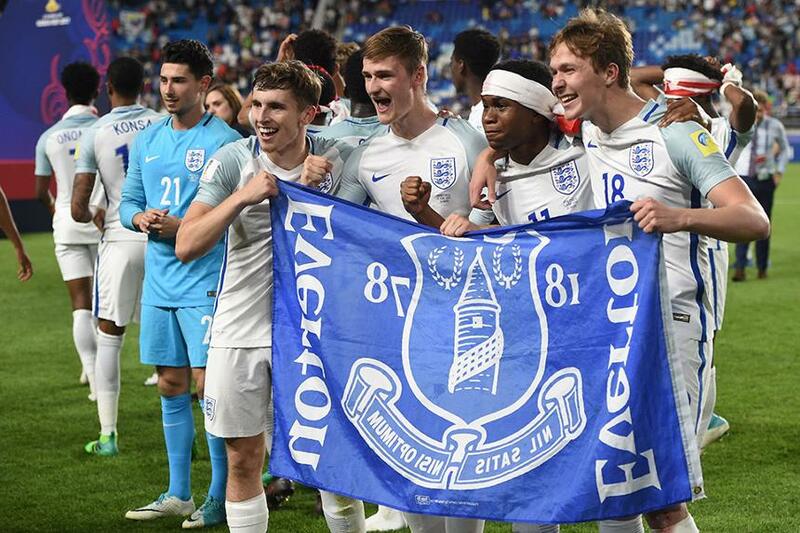 “It’s an amazing achievement,” said Everton Premier League 2 coach David Unsworth after five of his players helped England win the FIFA Under-20 World Cup on Sunday. Unsworth watched from afar as Toffees forward Dominic Calvert-Lewin struck the only goal of the final against Venezuela in Suwon, South Korea. Jonjoe Kenny, Kieran Dowell and Ademola Lookman also impressed for the Young Lions, while Callum Connolly was an unused substitute on what Unsworth described as "a proud day for Everton". "It's an amazing achievement," he told evertonfc.com. "What they have done is very, very special. “We are so proud of our Everton boys. I am delighted. I was biting my nails and shouting at the TV, then I was jumping around at the full-time whistle."